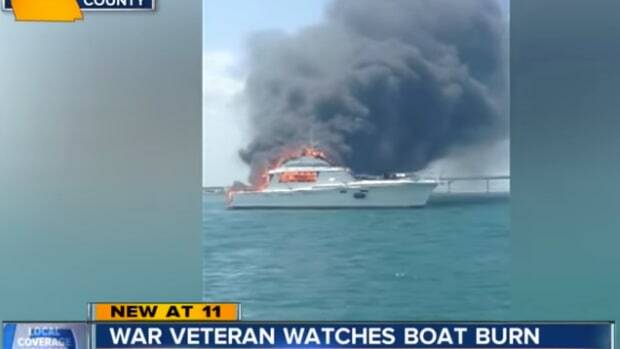 In 2016 two Harbor Pilots risked their lives to maintain control of their vessel as it was engulfed in flames. 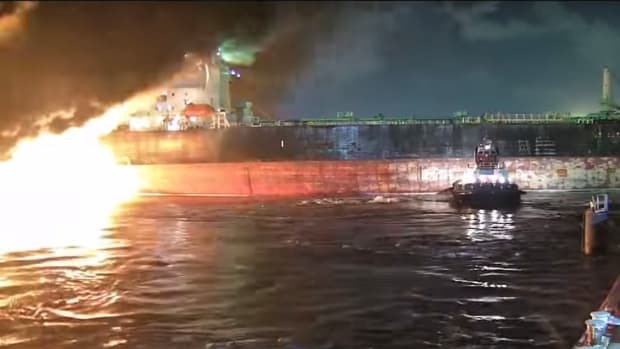 The IMO awarded them IMO Award for Exceptional Bravery at Sea. 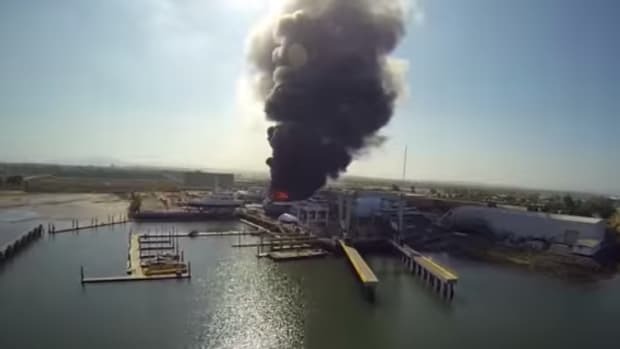 See video of the fire here. 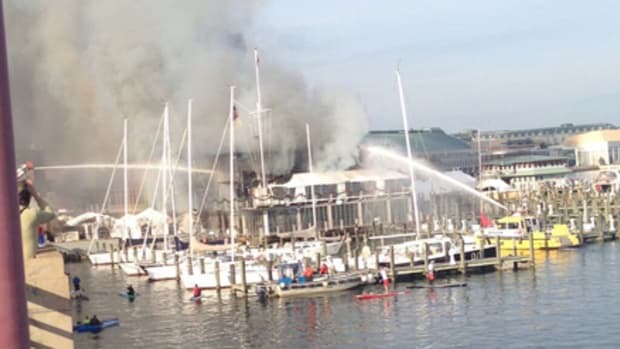 "It's a tragedy, but the wonderful news is, this holiday season, they were closed to get ready for the event, so the public wasn't there, the staff got out, everybody was safe," Gov. 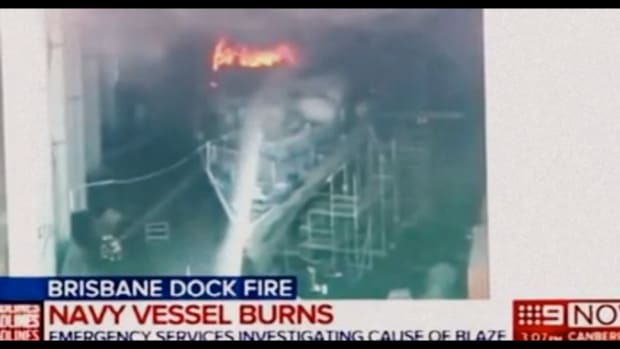 Larry Hogan said. 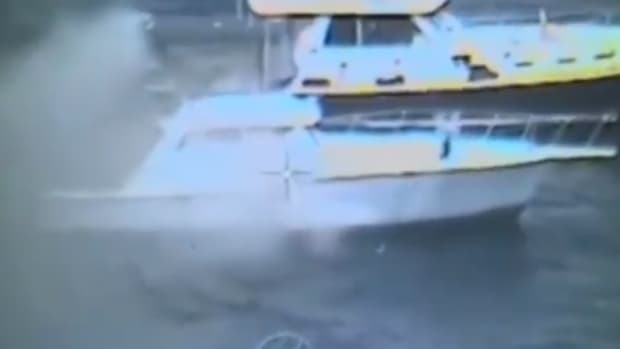 The Navy, Coast Guard and good Samaritan boaters teamed up last week to rescue two people from a burning boat about 17 miles west of Point Loma, California. 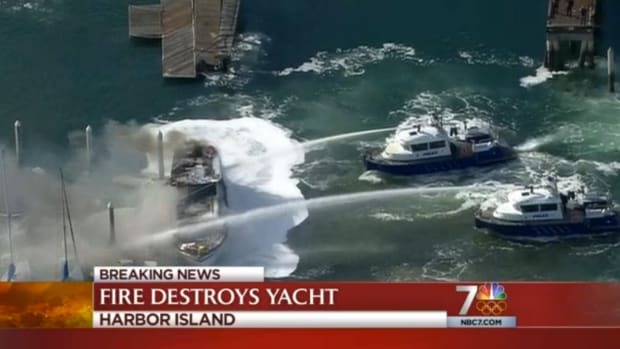 Kurt Roll, a local boat captain and videographer caught the massive fire that destroyed the 102-foot expedition yacht, Polar Bear, on aerial video Thursday morning. 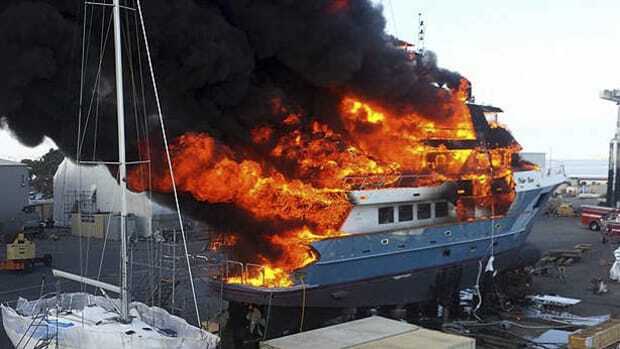 Polar Bear, a steel-hulled expedition trawler launched by Citadel Yachts in 2011, caught fire while dry-docked in Chula Vista Marina Thursday morning. 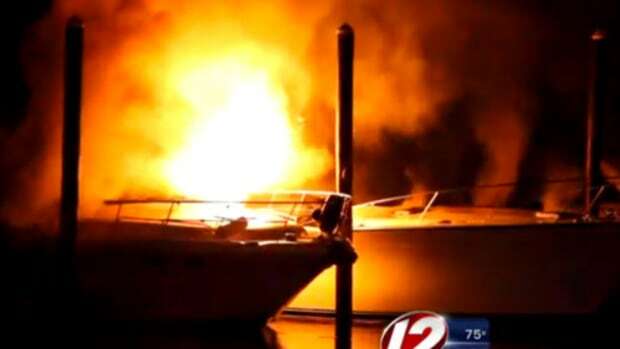 Initial reports indicate the blaze, which lasted several hours, began around 9:15 a.m.
A fire destroyed four boats and left several boaters stranded on the docks of the Rhode Island Yacht Club in Cranston late Saturday night.